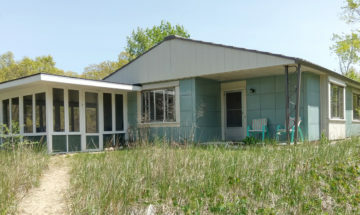 Helping neighbors save buildings and other places that matter in Cass, DeKalb, Elkhart, Fulton, Kosciusko, LaGrange, La Porte, Marshall, Noble, Pulaski, St. Joseph, Starke, Steuben, White, and Whitley counties. 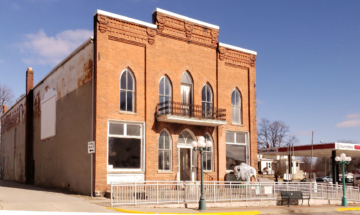 Over the past three decades, Indiana Landmarks has engaged in serial restoration of buildings in South Bend to house our Northern Regional Office. We’ve embarked on the next one in the series, a prominent South Bend landmark at the corner of West Washington and Chapin streets. 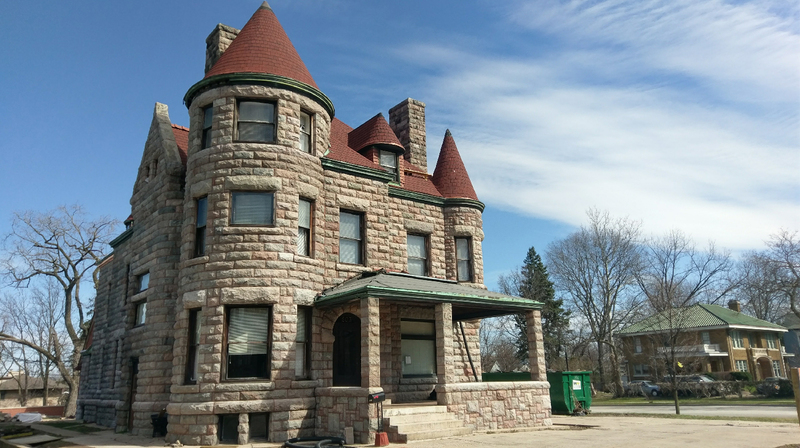 Constructed c.1888, the Kizer House offers more space than we need for our office alone, so we expect to create offices for other nonprofits or businesses in the spacious Romanesque style home often likened to a castle. William L. Kizer was an investor in real estate, insurance, railroads, timber, and patent medicine. He also was active in the Lincoln Highway Association. He and his partner Jacob Woolverton’s investments helped South Bend grow into an industrial powerhouse during the late nineteenth and early twentieth centuries. We’ve moved our office into the carriage house while we continue renovation at the main house and hunt for partners or tenants. The Northern Regional Office serves 15 counties, working with individuals and groups to save historic places and offering restoration advice. 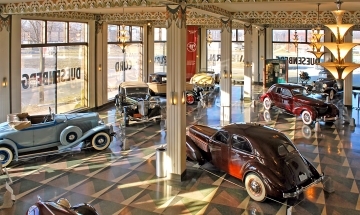 Join us for an inside look at automotive museums, private collections, and historic sites in Auburn. Get news about tours and endangered and revived landmarks: Subscribe to our e-newsletter!